After figuring out how to make some useful tweaks to WC1&2, Sheppard has turned his attention to Privateer. In support of a future patch to eliminate the grinding for ship upgrades (alternately, what some consider to be the fun part of Priv! 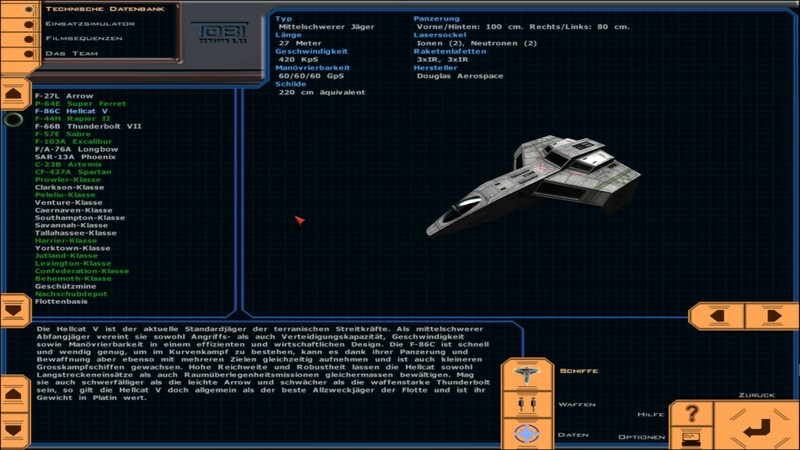 ), he's been doing research on weapon attributes, commodity prices, upgrade costs and more. Fans who don't want to wait for his program and are interesting in tinkering can read all about his findings here and participate in the conversation at the CIC Forums. 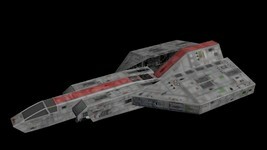 DefianceIndustries has upped the pirates' game with a new light attack fighter, the Razor from WC4. It'll eventually find a home as a subset of the Black Lance faction in the Homeworld Remastered Mod. 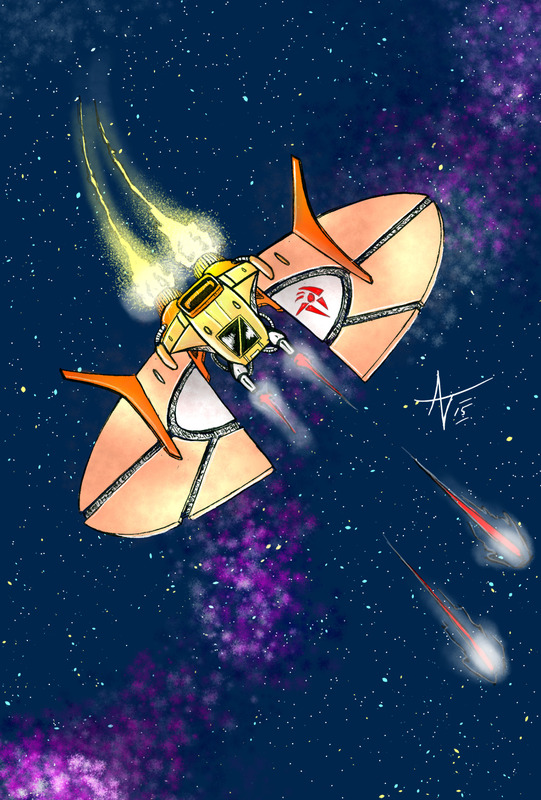 Since players never get to fly the craft themselves, not too many pilots consider the Razor among their favorite ships, but they're actually comparable to Arrows in many ways. This cinematic quality render is sharp enough to appear in just about any project, where it would surely turn some heads! Me Piratical ways continue mateys! 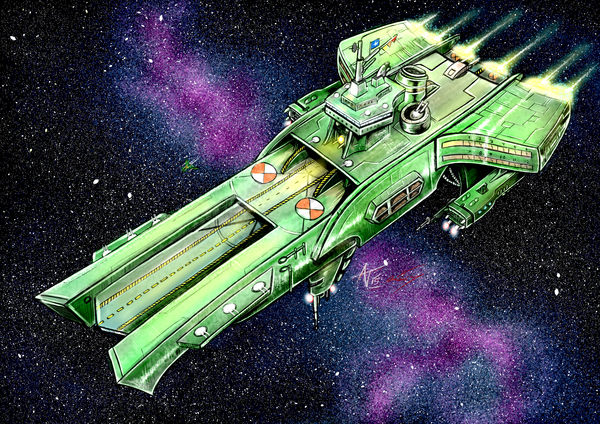 Here's everybody's favorite suicide sled from Martina Nostra, the Razor! Ready to harass enemy convoys and waylay scouts at your leisure. Longtime community member NinjaLA recently had a scare that sent him to the emergency room. The good news is that he's recovering now and all is well - except for the medical bills he racked up through the ordeal. He's not asking for charity, but he is willing to take on your art commissions to help offset the costs. 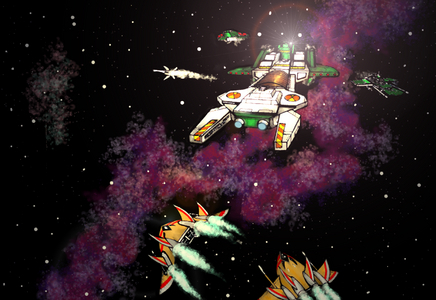 Ninja's been making Wing Commander art for us for more than ten years, so many are familiar with his talents. If you'd like to help one of our own and have something in mind that he might be able to create, send him a note! We continue to admire capi's weekly WC RPG progress updates and how dedicated he remains to the project. Elegy of Sivar's "encounters" have been coming together this month with two of six planned events now complete. These sound like they'll be pretty dynamic scenarios within the context of the game. capi will be taking a well-deserved break from updating everyone next Monday, but work will continue on the game's epilogue and mission details. More nifty deck plans for the Demon's Eye pirate base and the Drayman II transport are in the works as well! 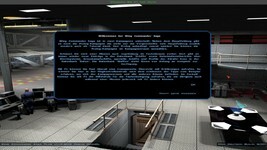 Work continued this past week on Chapter 2.2 of the Elegy Campaign. I did a re-calculation of the time, distance and engine repair estimates for the Valgard and Kabla Meth encounters, which was necessary accounting for the changes to the Valgard encounter that I mentioned in last week's update. 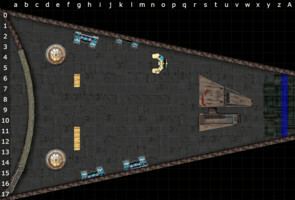 Work continued on the Problems sub-section of the Valgard encounter over the next two days and largely involved deciding on the structure of the running fight that takes place there. The encounter will rely on the pseudo-random encounter generation routine already built into the campaign setting, and largely what I needed to do was figure out what would take place given each possible individual encounter, while accounting for the possibilities of failure and success in the previous encounter. 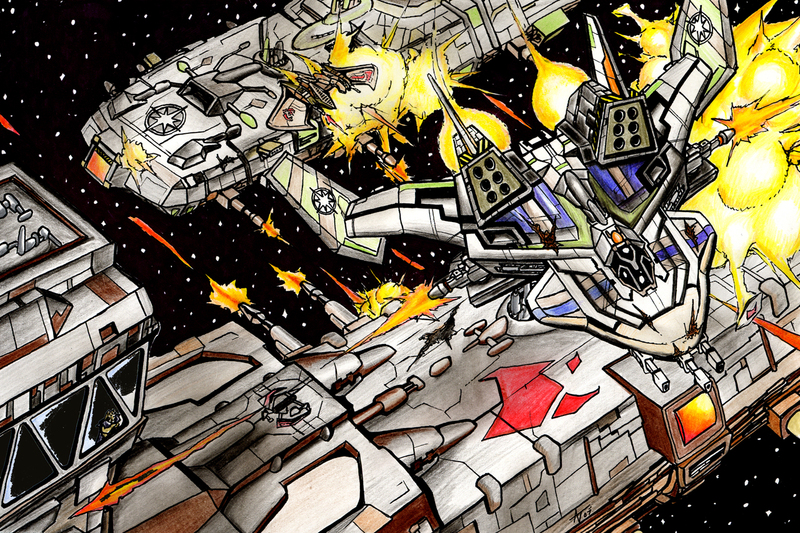 Work is not done on the Valgard encounter just yet - there's still the final part of the running fight to handle, the part that might involve a reasonably large fight against Confederation forces in the event of utter failure up to that point. callitri is well known for his gorgeous Concordia Supercruiser, but now he's branching out a little. While he's got aspirations to build out more of the WC Movie's fleet, the next project he's leaning towards is the Pegasus outpost from the film's opening sequence. The design is still in the early stages, but he's got a bank of stalls and utility connections in pace. It's another great peek at his flagship too! I am still thinking of doing the two small craft seen in the movie: Broadswords and Rapiers and of course the asteroid-base/docking station. Since I do modeling in my spare time, I can't promise when I'll be ready with them, but it's on my list of things to do. I am trying to make Pegasus Naval Base without an actual asteroid because I have problems creating the asteroid part. I'm just focused on the berth itself at the moment. This is the rough layout so far. 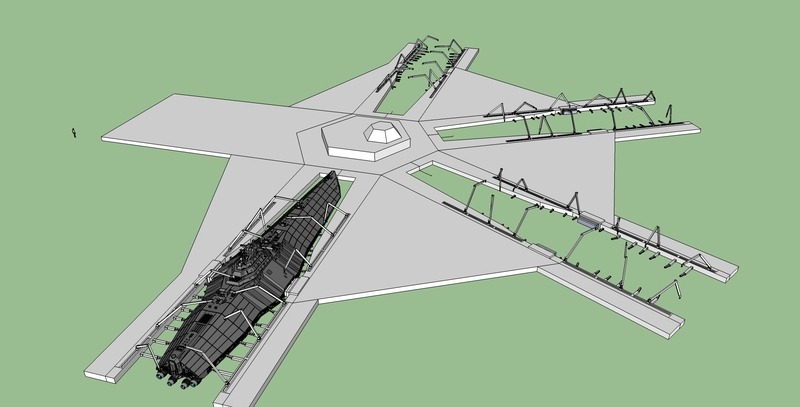 I want to make the yard itself bigger for other types of ships as well, which is connected to my other long term plan to make at least a couple of smaller capital ships based on this design. Emotional Multimedia Ride has posted its fifth - and possibly final - installment in their retrospective on the Wing Commander series. Both Prophecy and Secret Ops are grouped together in a review of the Gold package that GOG has for sale. While there are certainly some high points, they find the overall reduced number of cutscenes, lack of video choices and less seasoned cast to be somewhat less compelling than Wing Commander 4, which ranked as one of their favorite games of all time. On the other hand, they do credit the game's alien artwork and engine effects for making the space combat aspect pretty fun. Note that Prophecy's movies can be upgraded to DVD quality after downloading the VOB files and applying the correct upgrade patch, which alleviates one of the issues they have with the game. Check out the full article here or catch up on their entire series here. 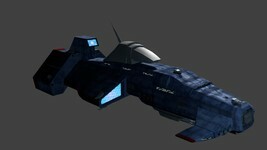 This week's Wing Commander Flat Universe preview isn't very flat at all! 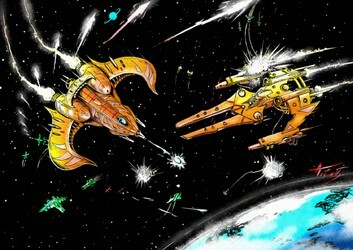 It shows a wing of Hornets rushing in to assist a Confed destroyer under siege by several larger Kilrathi combatants. On the positive side, it appears that the Fralthra in the lead has taken quite a few hits. 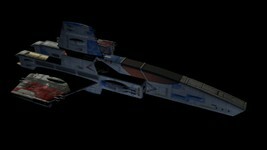 It's nice to see the Maslas Brothers putting Klavs' beautiful ships to good use! 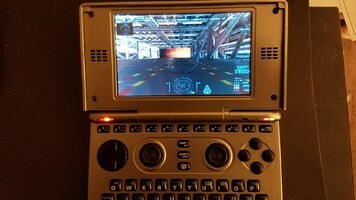 Oceankhayne likes to take his Wing Commander on the go, and so he's a fan of items like the Nvidia Shield Portable combined with DOSBox for Android. He's recently upgraded to a Pandora, where he's managed to even get WC Saga running. 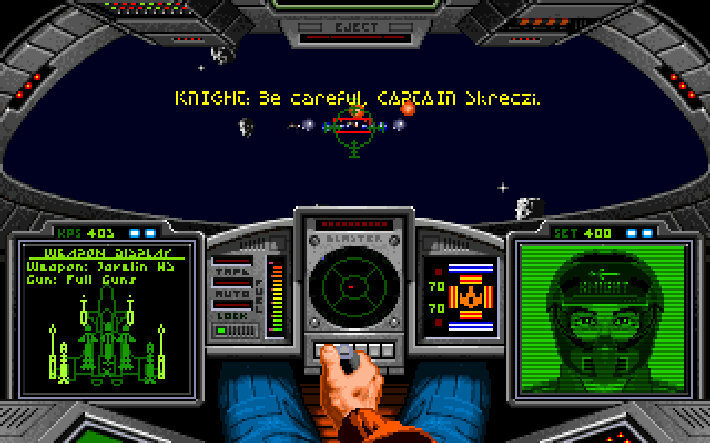 It also plays the standard Wing Commander games through about WC4 quite well, and you can find a video of Wing Commander 3 in action on the device here. The Pandora has actually been around for a number of years, so it's due to be upgraded to the even fancier Pyra handheld later this year. We're anxiously awaiting your reports of how well it runs Prophecy and Secrets Ops when it's released! Hidden in the Pandora repo was Wing Commander Saga built for the Pandora. It's quite playable and controls quite well too as you could imagine. 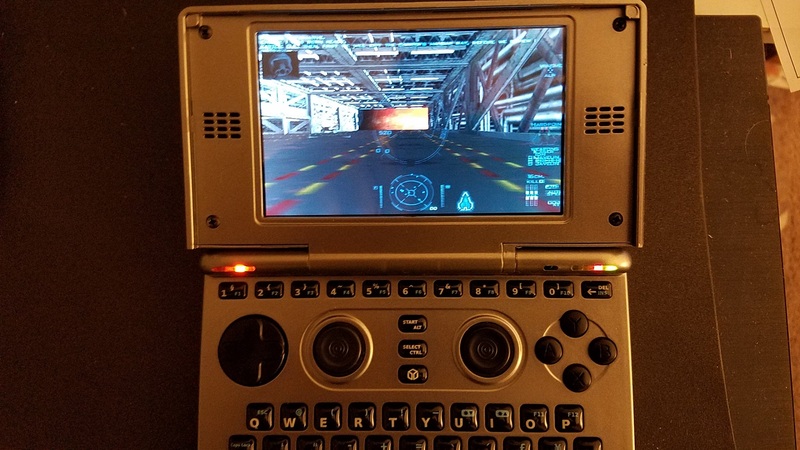 So not only does this play all of the games that the Shield can run, it can also play Saga. Luke continues to refine the German edition of Wing Commander Saga, and his latest updates further enhance the experience. Version 1.07 includes improvements to the fiction viewer, overall improved compatibility and mod-ability through new LUA script options. There have also been fixes to the overall "Saga Plus" project in the form of crash fixes, better usability in the menus and modding improvements behind the scenes. German fans are lucky to have such a Wingnut that's so dedicated to this long-lived fan game. Download the full game here or jump straight to updates here. 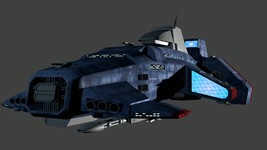 Sheppard still loves to play the Wing Commander games, except one thing drives him crazy: asteroids. 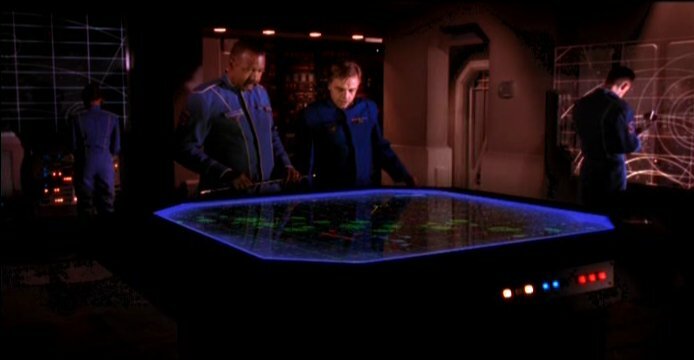 He didn't want to just cheat his way through the space combat, so he's been determined to figure out a compromise solution. 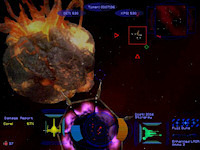 With the advice of a few fellow Wingnuts and some old editing tools, Sheppard managed to isolate the games' space rocks and neutralize the damage they do by slashing their collision radius. The specific coding needed is slightly different for each of the game executables, so he's created pre-patched files with the modifications already made. Note that these have been designed to work with the GOG versions of WC1 and WC2, although his method could also be applied to the pure DOS files as well. Grab the WC1 (270 k zip) and WC2 (460 k zip) .exes and copy them to your game folders. Don't forget to back up your originals before you overwrite! Read up on exactly what he did here: WC1 & WC2. 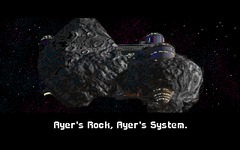 One of the most frustrating aspects of the original Wing Commander series was the asteroid fields. They seem to have been put in solely for nothing other than to lengthen gameplay via frustration. I could slowly navigate my way through them with patience as a twelve year old...but the thirty-something me can't stand them anymore. So, without further ado, here's how to adjust the difficulty of asteroids in Wing Commander. Note: Does not prevent collisions with Ayer's Rock! 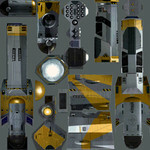 Here's the latest on a very nearly complete TCS Cerberus by DefianceIndustries. The upper superstructure is all textured in now, so the ship is about ready to rock in the Secret Ops Model Upgrade Pack. Defiance saved the best for last, so just weapons and a few minor structures remain. I especially like how the cruiser looks in the dark. It's almost like a city skyline with all of the layers and windows sticking out against the black. CrazySpence is back with great news on the Raspberry Pi 3. A couple years back he had good luck getting WC1&2 to run on one of the first models, but things started fizzling out around Privateer. The new system-on-a-chip is significantly more powerful with its 1.2GHz 64-bit quad-core processor, so everyone's been anxious to see what it can do. The video below demonstrates that pretty much the whole DOS WC series can now be emulated smoothly! 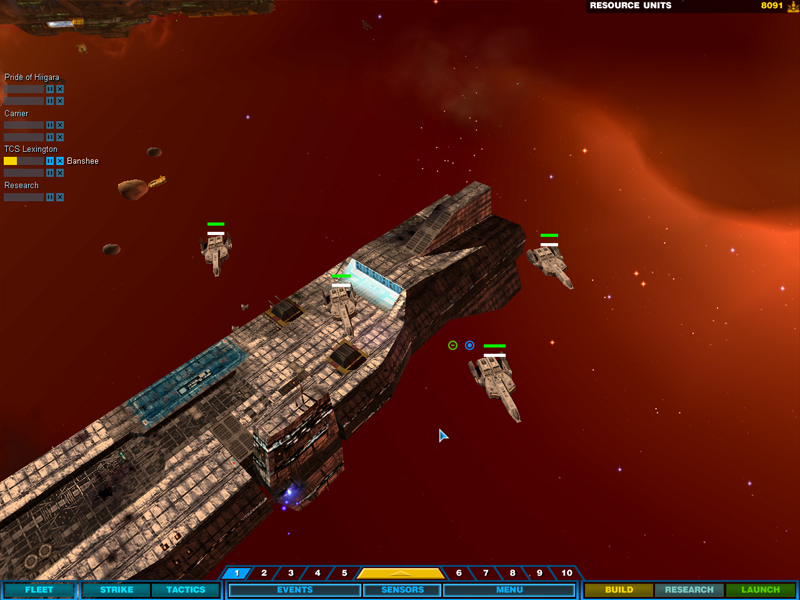 Privateer, Armada, WC3/4 and P2 all appear to run quite well. A starter kit will only set you back about $35-50, which is crazy when you think about the thousands of dollars each of us spent to meet the hardware requirements back in the '90s! We've come a very long way! 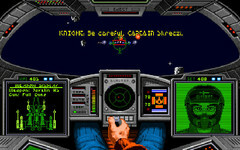 The Wing Commander Series on the Raspberry Pi 3. Pardon the quality but the point is made. The Pi 3 is powerful enough to enjoy the series' DOS games. Using Retropie 3.8 to play the games. 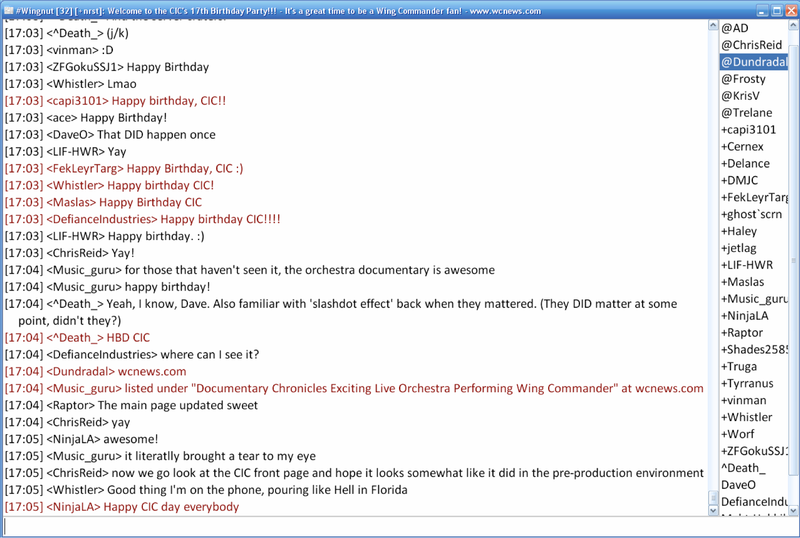 Announcing The CIC's 18th Birthday Party! 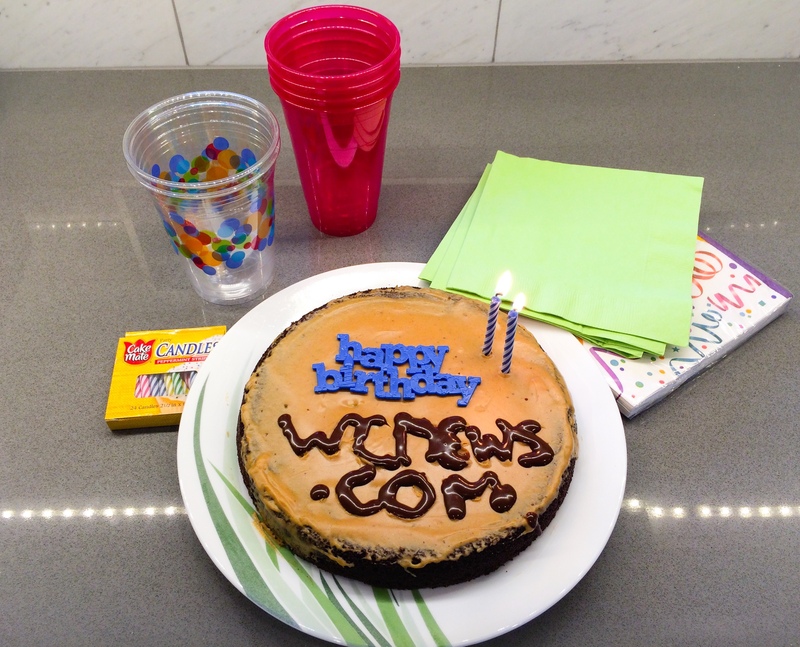 The middle of the year is fast approaching, and that means one thing here: it's almost time for the CIC Birthday! We now hold the event on a Saturday near to the actual anniversary, and this year we've selected August 13. Most old timers know the drill, and they'll tell you that the party is a blast! 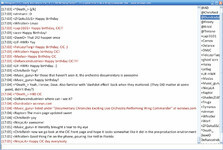 If you've never used IRC chat before, it's easy to get started with our simple web interface. Feel free to stop by and get acquainted any time. 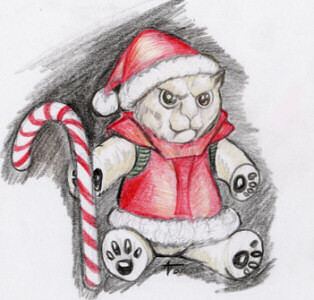 As usual, we've got some cool site upgrades planned as well some fascinating things to share. We're also cooking up a couple surprises. Everything gets going on irc.wcnews.com channel #Wingnut at 7:00 pm EDT (4:00 pm PDT and 11:00 pm GMT) on the 13th. Mark your calendars and stand by for an awesome night! 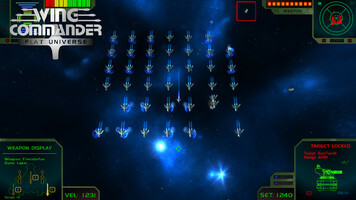 For the past two and a half years, Arrean has been working on his Wing Commander themed strategy/tactics game Spaceships Universe which puts players in control of Terran and Kilrathi fleet operations. 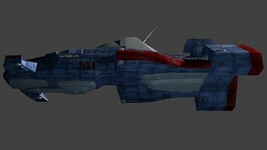 We check in on his progress periodically, with new screenshots or videos of his Unity based tribute to Wing Commander. Now that a playable alpha test is in the works, Arraen has set up a dedicated website for his project where he can consolidate background information and teaser media. You can find the website at SpaceshipsUniverse.com. 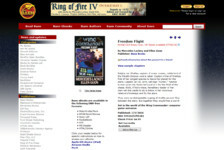 Freedom Flight Ebook Three-Fourths Released! 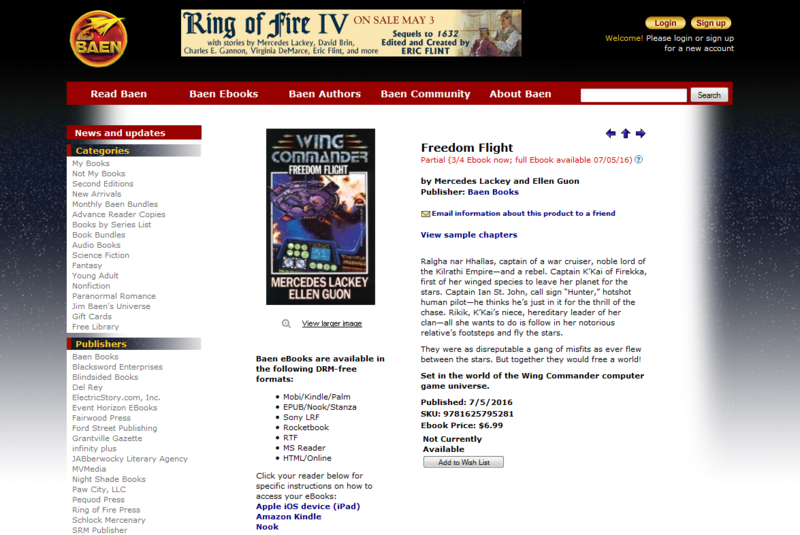 As the official July 5 electronic release date of Baen's Wing Commander Freedom Flight quickly approaches, another quarter of the book has been published. 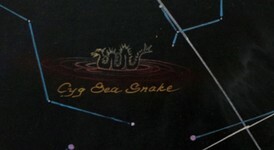 Baen has a history of parsing out partial early drafts of their new sci-fi novels ahead of an official launch, and this happens to extend to rereleases of their back catalog such as this. The first half of the novel came out April 15, and now buyers can see the first three quarters. 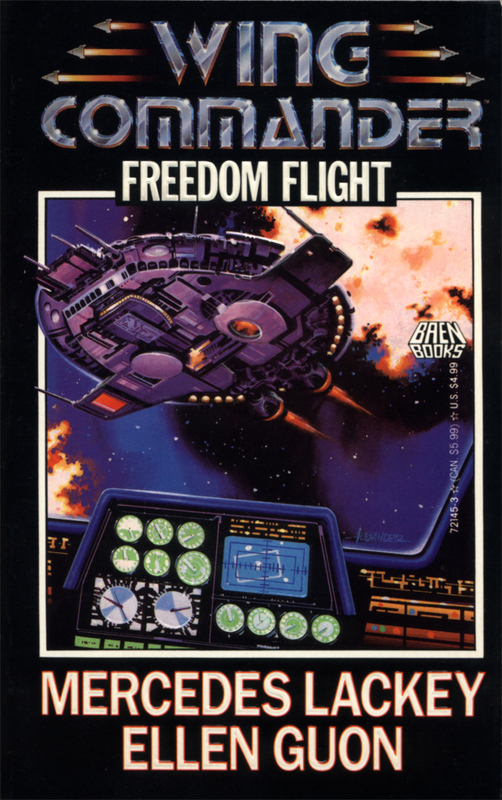 Freedom Flight is a tremendously fun take on the events of The Secret Missions 2: Crusade - it's a great introduction to the novel series. Preorder it here for $6.99 and show Baen that there's demand for the rest of the series! There hasn't been too much information on the future of Wing Commander Flat Universe since their big interview a couple months back, but that's about to change. 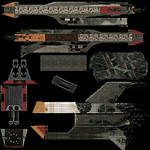 kyrgiannis has posted the first in a regular series of status updates that will lead up to their next major release. 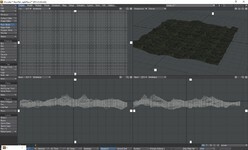 The image below shows off a stress test of the engine. 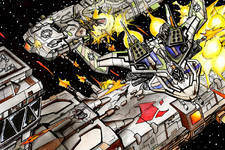 It features "40 hostile and angry broadswords along with a couple of turrets." You can also see the player's Hornet dead center for scale. It looks like Wingnuts have some massive battles to look forward to! 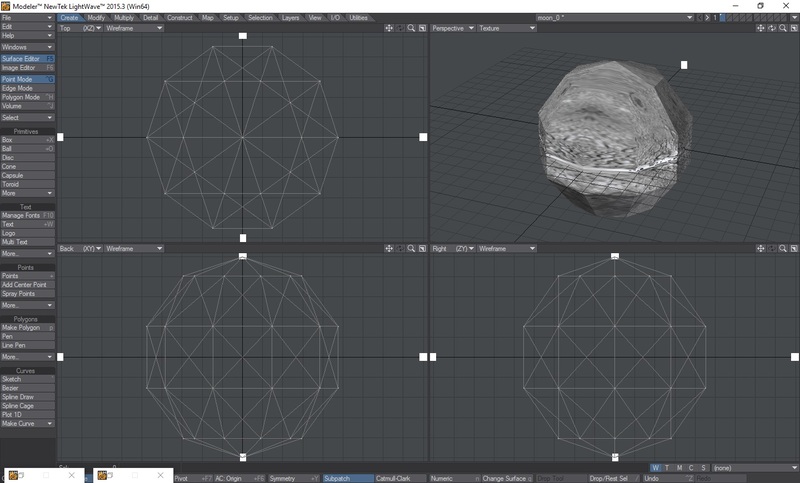 gr1mre4per has put together a useful package for aspiring modders and artists to more easily dabble in Vision Engine assets. 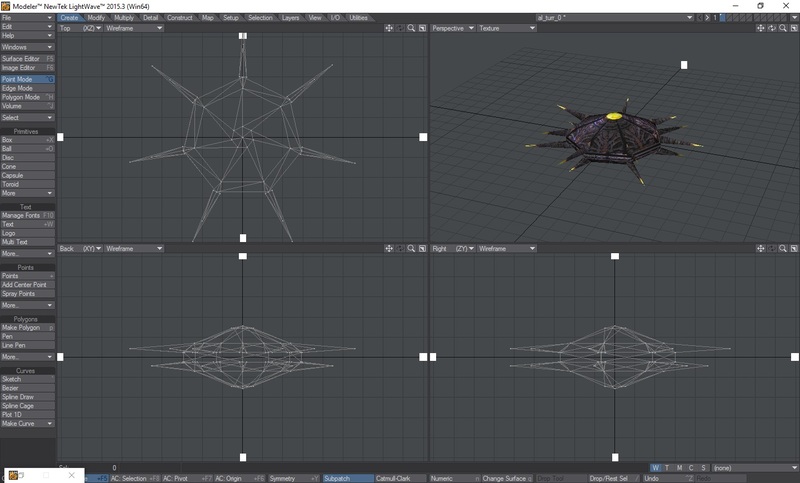 He's extracted the Prophecy and Secret Ops ship and object files so that fans can jump directly to manipulating everything in their favorite Object Viewer. It should be a pretty complete rundown of what's in there, including some recent curiosities like the unused "Callisto Cruiser." Wingnuts have done so many great things with the game over the years - we're excited to see what fans do with this next! 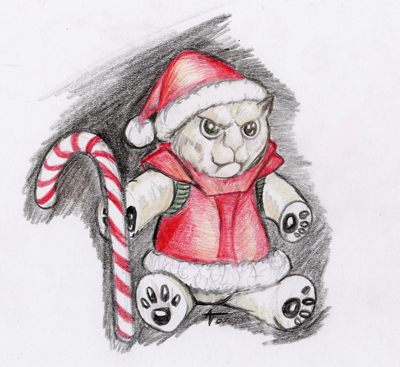 Download the Prophecy pack here (7 MB zip) and SO pack here (10 MB zip). 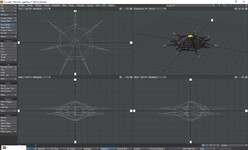 ​ Depending on the animation suit you use, you may have to 'flip coordinate system'. I think the SO pack is just the Prophecy pack with the extras, but included both just in case. 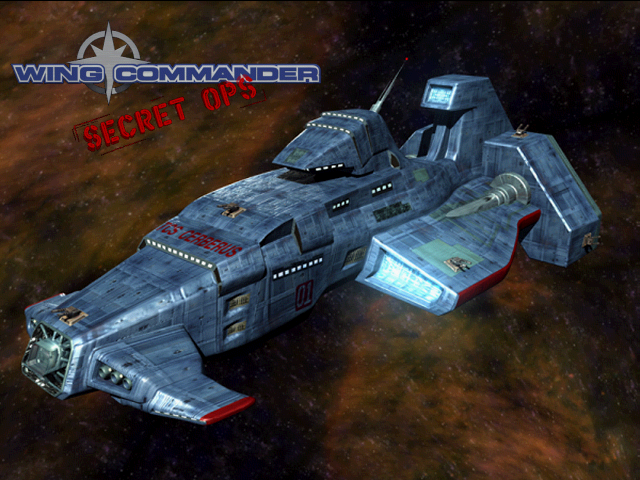 Good Old Games is running their annual summer sale, and Wing Commander's incredible 80% price cut is back! 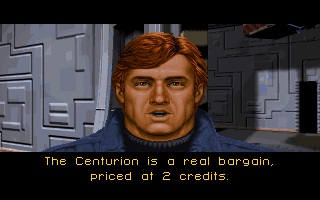 This means all PC Wing Commander games, including expansions and bonus material, are just $9.52. If you're reading this, there's a good chance you already own them digitally - but the site lets you share the love and gift the series to a friend. GOG's new social features also mean you can get credits that can lead to free games. The WC series is worth 9600 xp in this new system. Check out the deal here. Have fun! VHSGoodiesWA has opened a fascinating time capsule into the summer after the Wing Commander Movie premiered in theaters. Long before streaming video was a thing on the internet, cable companies offered Pay Per View programming for people interested in a convenient home option. "On demand" meant something different than it does today though, and people would pay to unlock their desired movie at given scheduled broadcast times. DVD players were still years away from becoming commonplace in 1999, so this and VHS rentals would have been one of the primary ways that typical viewers of the day would access the film. It might seem trivial when anything and everything is just a Netflix click or iTunes rental away now, but those options are a relatively recent development! 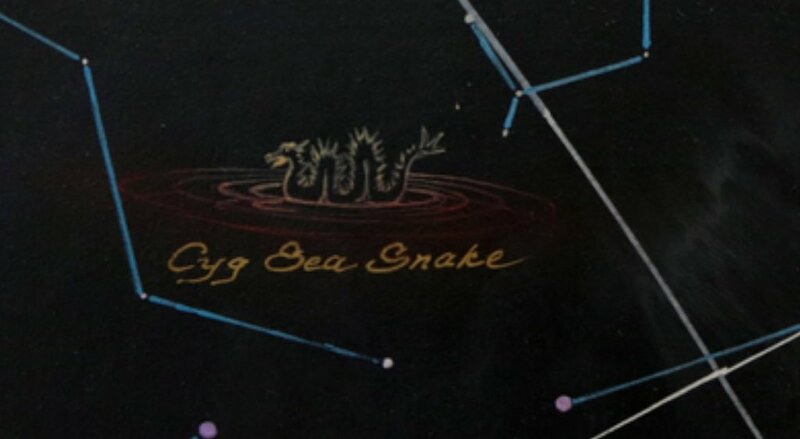 At the edge of the universe, all hell is about to break loose! The final battle for Earth begins on Pay Per View. Take a high flying thrill ride through time and space. 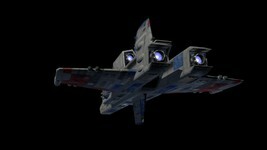 For the first time on television, Freddie Prinze Jr., Matthew Lillard, Saffron Burrows: Wing Commander! Sci-fi excitement comes home on Pay Per View. 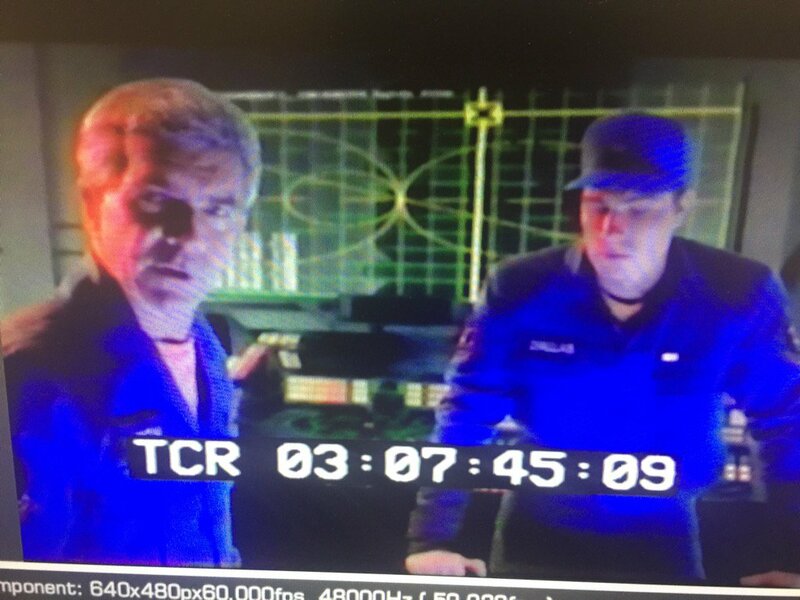 LOAF recently happened upon some old VHS tapes with test footage of Wing Commander 3. These appear to be placement shots to explore the feasibility of the futuristic sets, camera angles and costumes. 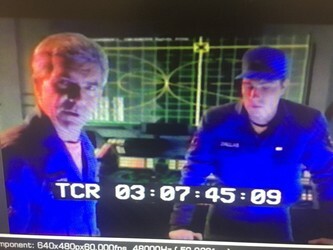 Since this predates actual filming, Eisen is portrayed by a Joe Garrity-lookalike stand in, and the other crew member is "Dallas." I like that background - it reminds me of the WC4's CIC! 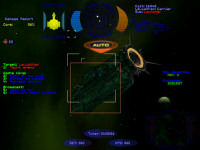 Wing Commander 3 test footage! Fake Captain Eisen? Information Officer Dallas? Blue hats? They're all here! 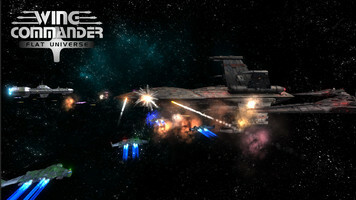 Emotional Multimedia Ride has published a fourth article in their series on Wing Commander. Wing Commander 4 is arguably the pinnacle of "emotional multimedia" storytelling in the franchise, and this writeup acknowledges it as such. 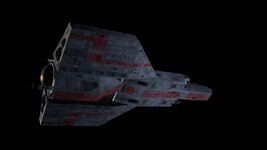 They enjoy the real sets and deeper choices as well as the more elaborate mission structure. It's just the game a website like this was destined to review! Check out the full article here. 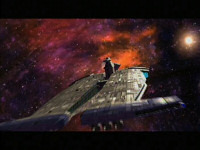 Wing Commander IV: The Price of Freedom is a perfect example that FMV games don’t necessarily mean bad acting and limited gameplay. 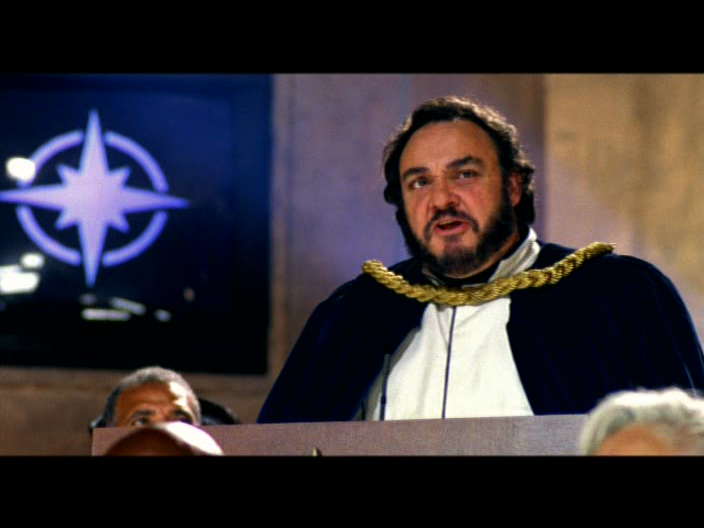 On the contrary, it’s a showcase of how the player is put into the spotlight of a suspenseful but also thought-provoking sci-fi story that is much more engaging with its realistic portrayal of warmongering than the often problematic militaristic propaganda of past games while offering still impressive CGI cutscenes and top-notch acting performances at times. 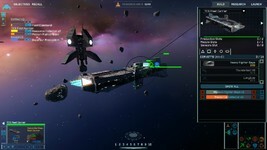 While the space combat part hasn’t changed much and the replaceable wingmen mechanic is questionable, the sheer amount of dialogue options in addition to the branching story paths and alternative missions makes this the strongest entry in the saga yet that hasn’t been bettered in any other game of the genre since. 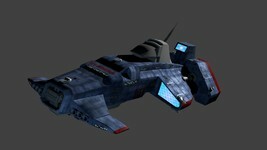 Carrick McHwain has posted a nice video of the Wing Commander Prophecy OpenGL patch. He shows how it runs on a modern computer in 1080p with some pretty solid improvement settings enabled. A lot of people are posting play-throughs of all sorts of games these days, but few go the extra mile and max out their playing experience before hitting the record button. If it's been a while since you've played WCP, hopefully this glimpse at the fluid and high quality graphics experience (at least until the model upgrade pack comes out!) makes you want to break out the joystick. If your discs are up in the attic, WCP and SO are available together for $5.99 at GOG. There's no excuse to let the alien horde invade! 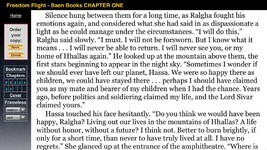 After several weeks of final sprinting, capi has completed the Act One, Part One chapter of his WC RPG expansion, Elegy of Sivar. This particular episode has taken the better part of a year to write, and it's just one of a number of chapters that make up capi's planned story arc. 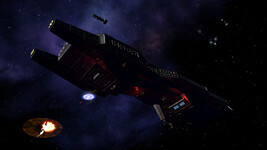 This means it's a possibility that his exhaustive Kilrathi module could be broken up into separate releases so that he can wrap up a complete package sooner and publish it to fans. 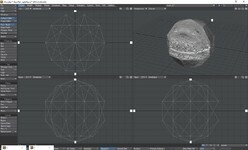 Some work remains on side elements of the project still as well, such as a 2D layout for the Demon's Eye Pack base, but it's great to see steady progress continuing! Good news to report to y'all this morning. 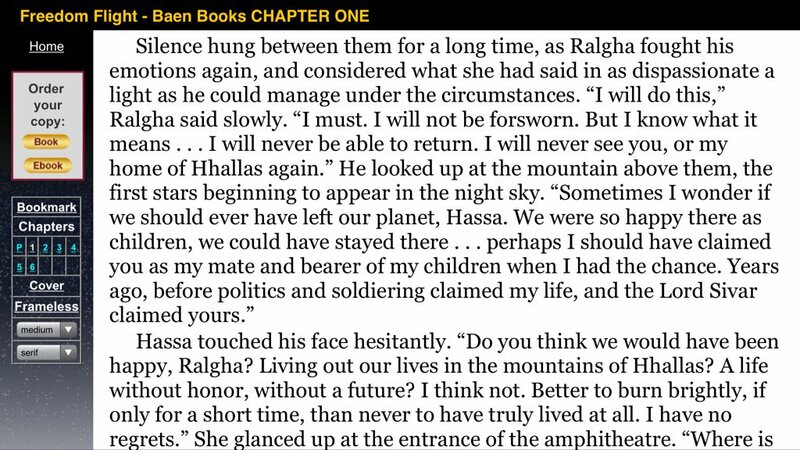 Thanks to a very concerted effort on my part over the course of the last two weeks, I can report that - after eight solid months of work - Tarakh'ga, Chapter 2.1 of the Elegy campaign is finally 100% complete and ready for proofreading. I spent much of the week of the 23rd doing the translation work, completing a total of 48 text blocks. As the translation work progressed, I took some time each day to add any new generated and re-purposed terms to the translation table, which in several cases made certain words available for use later on in the Chapter. May 25th in particular was a busy day, with twelve blocks translated just that day alone. DefianceIndustries' war machine keeps grinding out incredible new hardware. 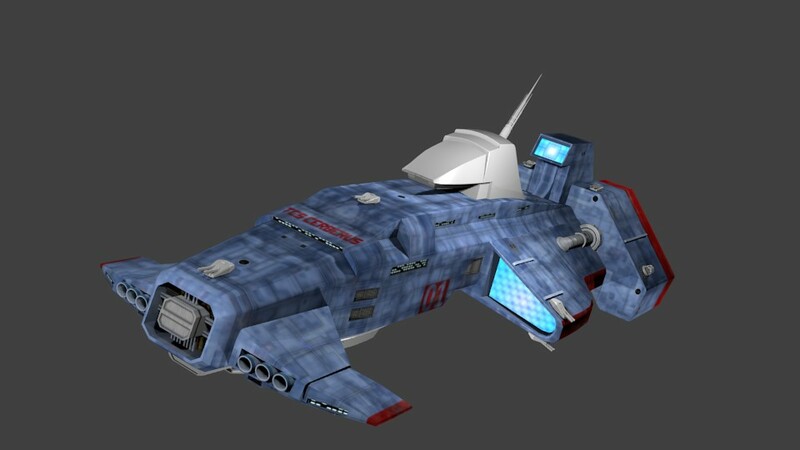 Up today is the WC4 pirate variant of the solid Thunderbolt. It can be hard to make a design look good in a tattered and worn state, but there are some fantastic visual aspects that do just that here. 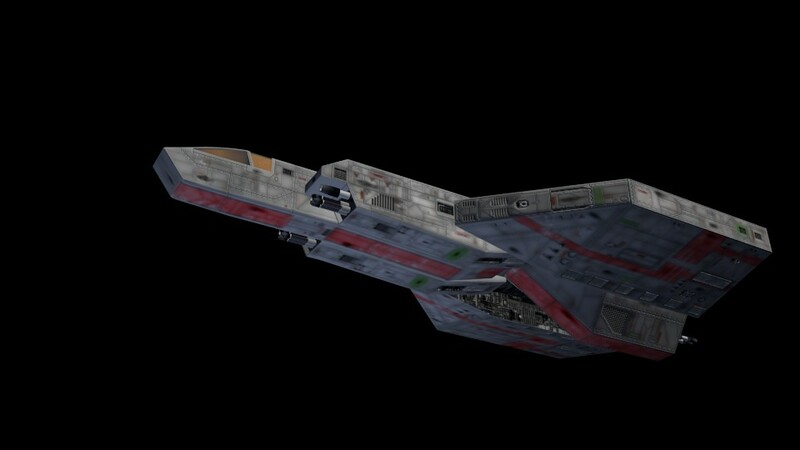 Rust or grime added to the hull are one thing, but the little green patches are an especially nice touch. They suggest wear of the exterior paint down to the underlying primer. Although we often think of gray craft like this as being simply being raw metal, it's more likely they are intentionally colored this way. Greens and yellows are common colors underneath the radar-absorbing and protective coatings we see on today's fighters. Seeing little lime squares on the model here suggests raw spare parts had to be pushed right into service. Check out DI's take on the Confed paint scheme here! Arrrrgh matey! Here be a piratical Thunderbolt for ye and yer Black Lancers! L.I.F. 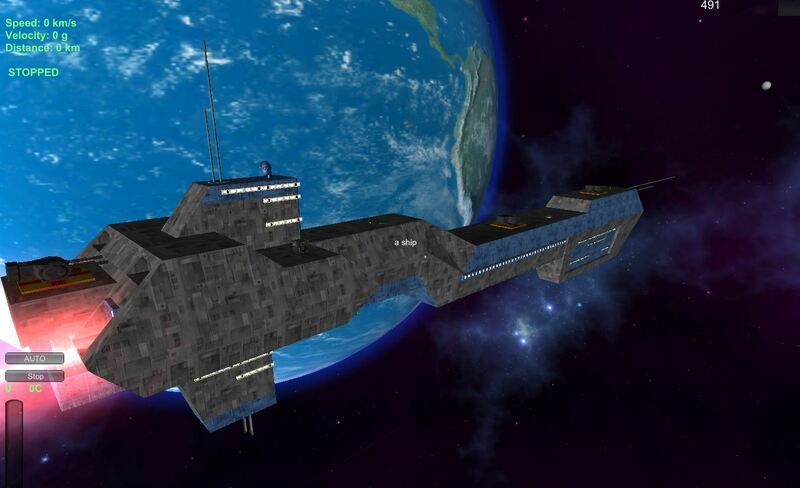 has some major news for the Homeworld Remastered Mod. Things have been mostly quiet for the project since winning 2015 Fan Project of the Year, but that's for good reason. The developers behind the full Homeworld Remastered game are on the verge of releasing a significant patch that is likely to completely break the mod in its current form. 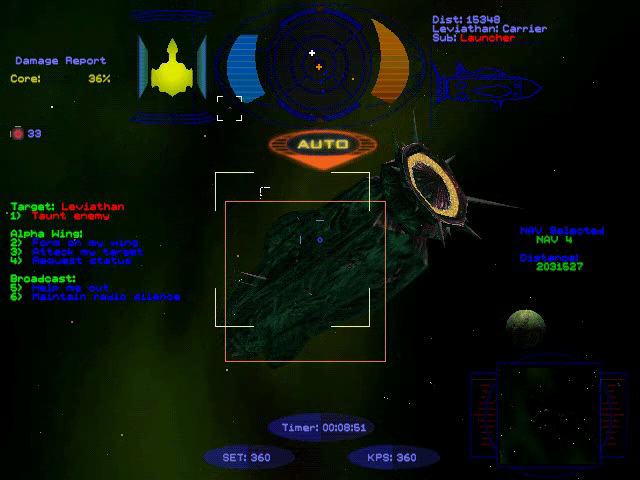 On the plus side, it will also allow for new features and improvements, but quite a bit of reprogramming will be required to get the Wing Commander game going again. If you'd like to continue playing in the mean time, be sure to block or avoid updating the core game. L.I.F. also notes that the mod recently reached its tenth birthday when traced back to the original project kicked off by czacen. This has given him renewed resolve to stick with it and ride the near term disruption wave to an even more exciting future! What does it mean for me in terms of coding? Well, I think it will be simpler and cleaner to pretty much start most of the mod again from scratch, and with paper/pen for several days before typing anything. Official warning: you have less than a day from this post onwards to block updates on HWRM if you want to use the current version of the mod in any way. From tomorrow onwards, Flag Commander will be offline for at the very least several weeks, more likely months. Ten years. It [has] been ten years since the project was announced. It feels so weird. In mod-related news, well... I'm going to defend my PhD in five days now, and when that will be done, the mod is going back to the top of my to-do list during some well-deserved vacation. 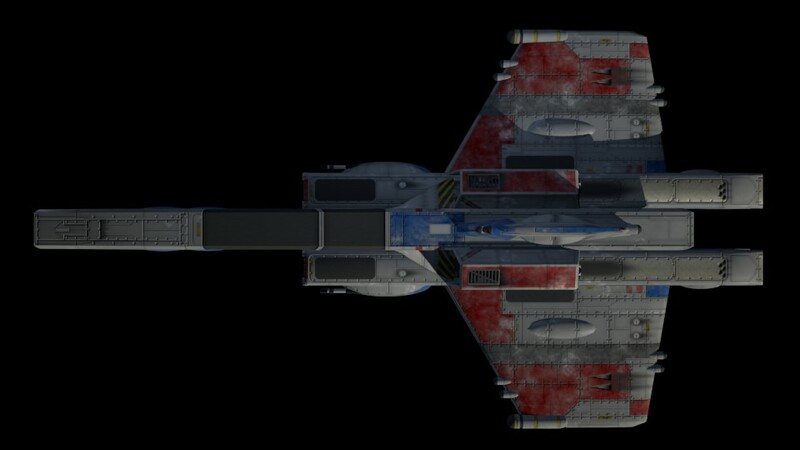 Upgrading the capital ships' files to the new versions will be something I'll have to get done, which means trying to get fully in software like 3DSMax, though some modders are working on dedicated ship editing software that could make my life easier. Plus, I established good relations with a large modding team with some top-level skill for HW modding, so all in all, no long-term issues to expect, it will be done. 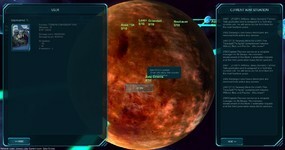 The tough thing to come will however be the AI, which will most likely have to be coded from scratch. But during these vacations, I'm going to have the best tool an amateur programmer can have: an empty garage just for me! Plus a whiteboard too. 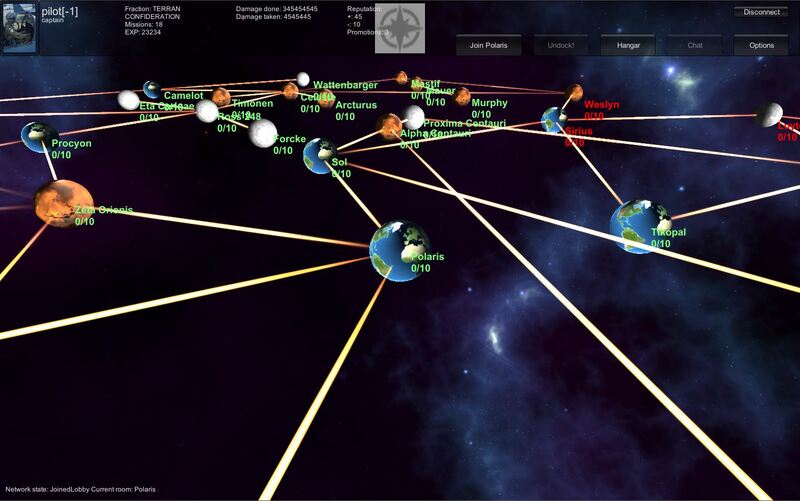 If I end up having cool algorithm and tech tree schematics, I'll see if I can take pictures to illustrate the dev work. What else? 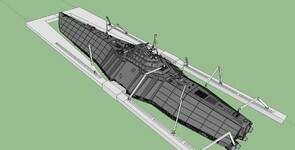 Well, there's already in the current version some ammunition and fuel management systems. Good thing is, between the new patch (possibly), some outside help (definitely) and one or two new ideas (probably), I think I should be able to optimize and streamline quite a lot these codes to get a better gameplay experience for everyone. 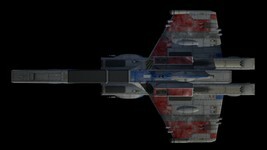 As for the two remaining factions' units, most of them are quite done, between reskins, creative use of other assets and what DefianceIndustries got, as illustrated by a recent newsflash for his cruiser. The other important feature, and one that will be pretty painful to implement reliably, is going to be the complete revamping of the economical system of the mod. A gameplay concept I would like to implement, if I can. In short, no more asteroid mining, but randomly-positioned Jump Buoys from which supply convoys will come to bring resources to each player, as long as they don't get ambushed en route, of course. 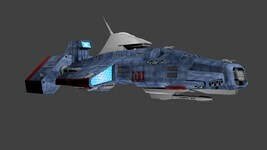 Should bring some more use to frigates and corvettes. Finally, the most complicated but least complex, since it's "just" planning and coding, a full single-player campaign taking place near Wing Commander III. 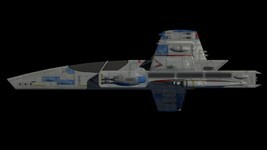 Arraen has posted a new preview movie for his Wing Commander mod, Spaceship Universe. We see quite a few of the game's mainstay Southampton and Ralari destroyers as well as other support ships and a Confed station. There's pretty good engine effects and camera work here, which just makes us even more anxious to see what it looks like when the Confed and Kilrathi fleets meet in battle! 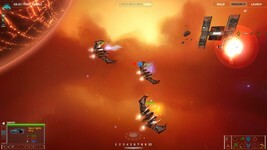 Such a gameplay video is in the works as is a playable alpha test. I made a new promo video with description of features. Here's an absolutely bizarre Privateer 2 video that was just uploaded to YouTube. It appears to be intended to direct people to buy an overpriced version of the P2 Special Edition at Amazon Germany, but the clip is ridiculous. 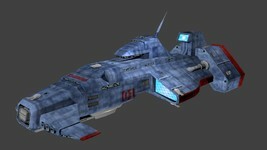 It starts with a Privateer 1 screenshot before advancing to Wing Commander Prophecy. Then it's followed by an image from Tachyon: The Fringe! A five-view Danrik from the CIC's ships database eventually pops up as the first actual image relating to The Darkening, but then it gets buried under a Super Wing Commander picture. 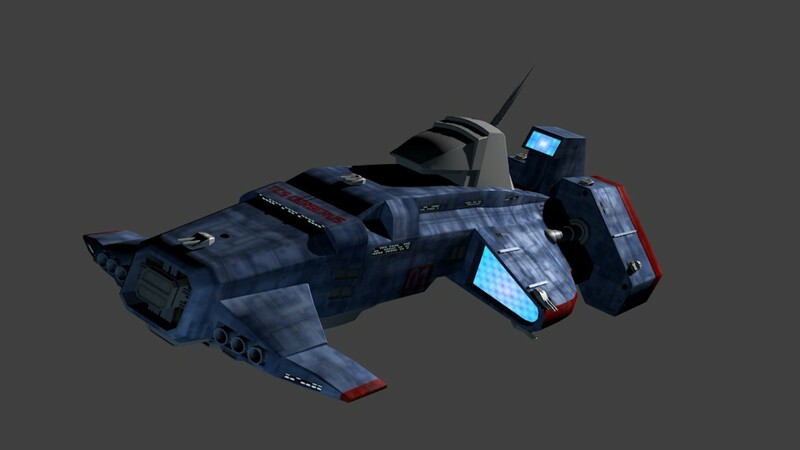 The sources are obvious - all of these show up in a Google Image Search for "Privateer 2 Special Edition" - but I have to wonder if it's ever at all worth it to the people who make things like this. Until I shared this video with you all, I was the sole view. At least we get a laugh out of it! And how about that music? 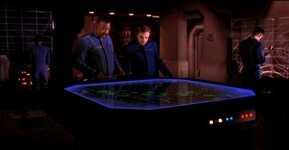 The Wing Commander movie opens with a long shot of a meticulously designed universe map. While digging through some old VHS tapes, LOAF came across some test footage of the map while it was still a work in progress. 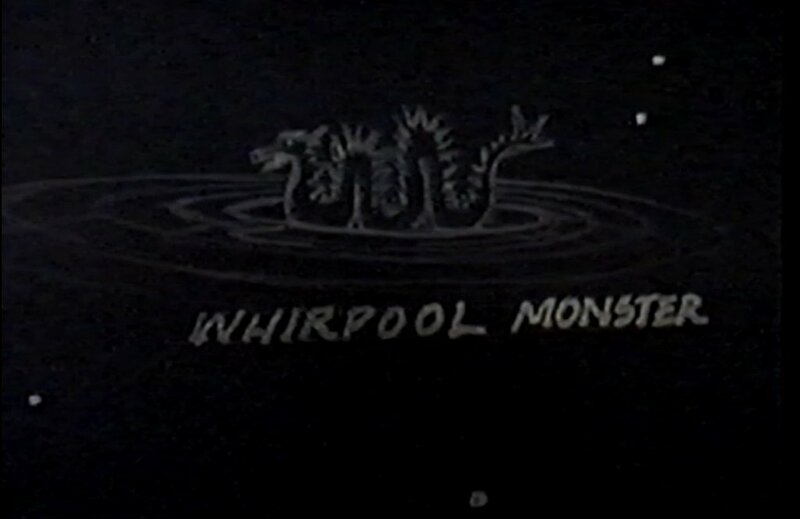 In this early version, there is a placeholder "whirpool monster" (sic) space phenomenon, rather than the final, more stylish Cyg Sea Snake. 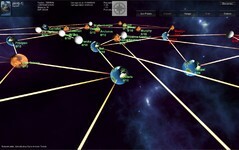 The movie universe map contains a few other space objects, such as the Rocky Shoals or the Sombrero Galaxy. If you want to study a detailed view of the universe map, you can check out this massive 275 megapixel image. 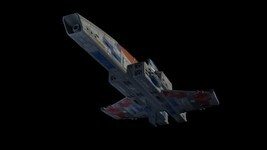 It was constructed by Jetlag, from dozens of close up shots produced by LOAF and Thomas Hennessy. We've got a new look at the hot Cerberus model that DefianceIndustries is putting together for the Secret Ops Model Upgrade Pack. 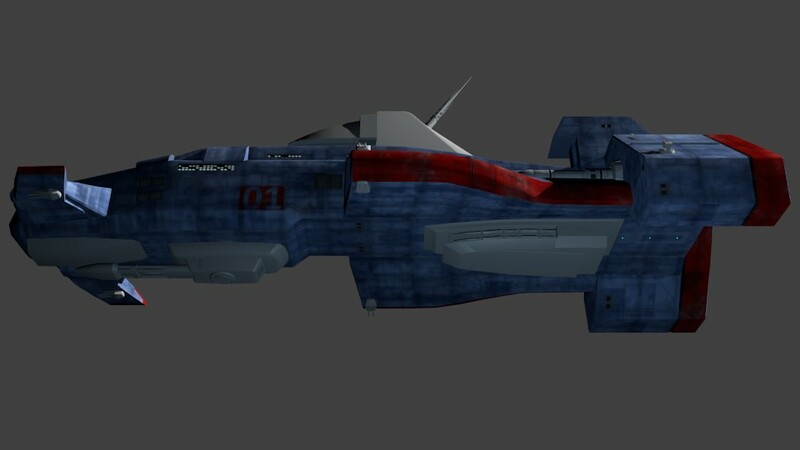 The ship's fairly distinctive blue hull plating has been especially tricky, but it's looking more and more like the gorgeous prerendered title image every day. 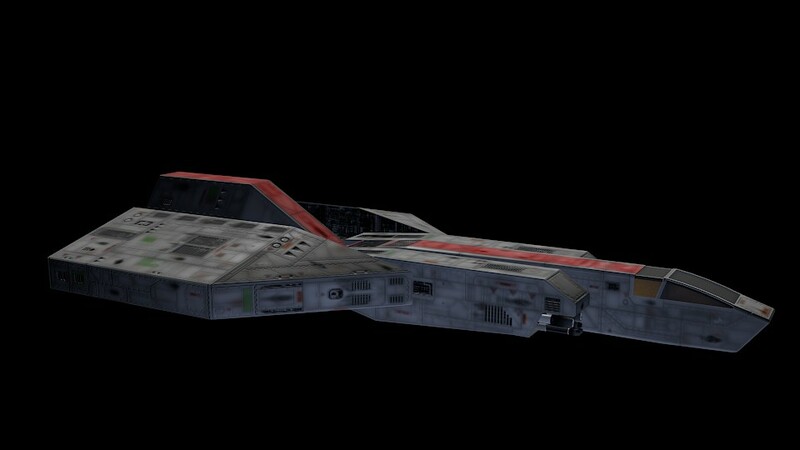 When Secret Ops first debuted in 1998, who would have thought we'd be flying around an in-game version of the ship that looked just as good some day? Also in keeping with the covert theme, the shadowy photos are a nice touch, plus they show off the glowing engine intakes nicely! 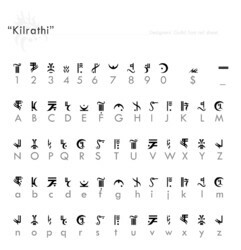 Designers Guild has put together a reference sheet for a Kilrathi font that was first designed in the weeks that followed the Wing Commander Movie premiere. We wrote about it in the news way back in March 1999, and then never again! 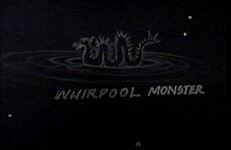 It used much of the film's text and added a few more characters to get a complete alphabet. 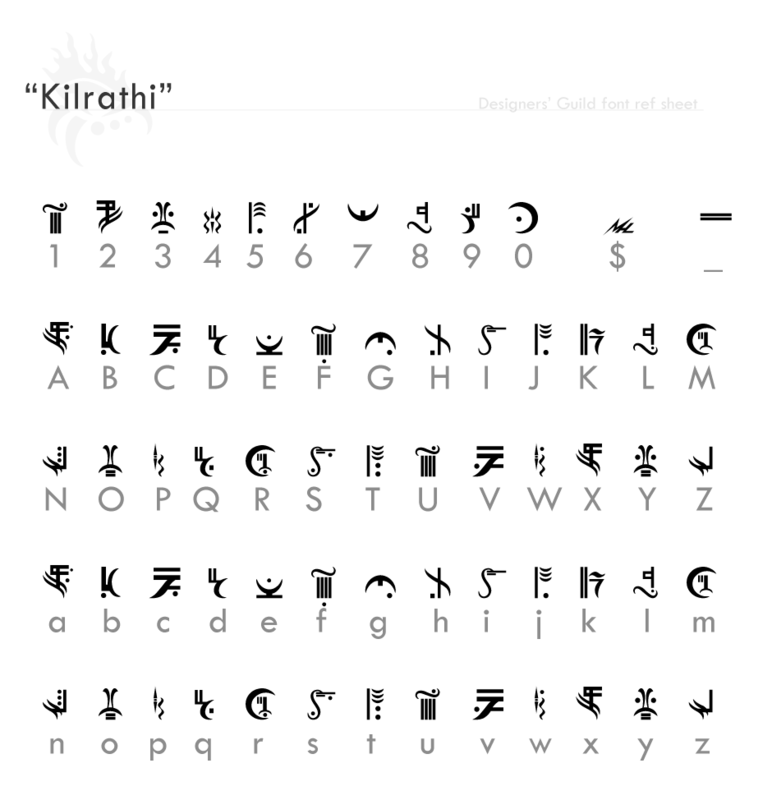 Several Kilrathi fonts exist in our download archives, but this one was seemingly lost when Geocities went offline. It's since been resurrected, and now you can see it again below. 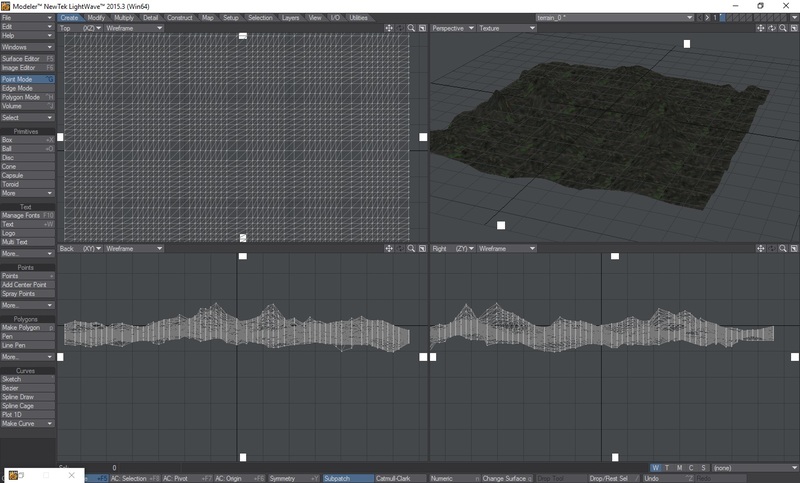 Don't worry, we saved (12 k zip) the file this time around! Use this as a reference for study, etc. As this is a charityware screen font (not a vector image font), just the layout and its template components are under copyright. 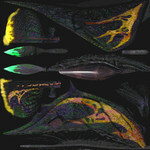 - freeware dl @ Tommy of Escondino's Alien Fonts, a great collection. 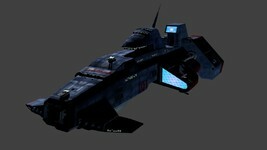 Includes Babylon 5, Star Wars, Stargate & Dune. Thanks to DrJon for the tip!